Dubs and Company proudly brings a new level of service to Southern California’s commercial real estate market. Specializing in the San Diego market and primarily North County, we offer over sixty years of combined real estate experience with all types of commercial properties within our growing company. Dubs and Company offers expertise in all areas of commercial real estate including sales and leasing of Industrial, Research and Development, Office, Retail, Land, Apartment, and Investment properties. Our capacity includes an extensive background in both construction and management of commercial properties. Our goal is simple, to provide our clients with the level of individual service they expect and deserve. This is a proven on a daily basis as we administer our company motto, “Your Smallest Requirement Is Our Biggest Concern”. Whether you require a small office space to lease, or a multi-million dollar industrial building to purchase, you will receive the preferred service and attention to detail each of our clients has experienced. Dubs and Company is the only name in commercial real estate you need to remember for unparalleled expertise and service. We would also like to extend our hearty “Thank You” to all of our satisfied clients and friends for their support and contribution to our growth. We are pleased to announce that Dubs and Company, Inc. has out grown their previous office and have now moved in to their new 3,500 square foot office location. Our new office is located within the research and development building at 1850 Diamond Street in San Marcos, California. This 14,880 square foot, two story building is the newest addition to the La Costa Meadows Industrial Park and is located just around the corner from our previous location which will ensure continued market coverage to all of our present and future clients and friends. 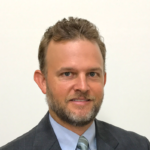 Kenneth Dubs, Jr. President , Dubs and Company, Inc.
Born in the Chicago area and raised in Rancho Santa Fe, California, Kenneth's official real estate career began in 1995. In his twenty-one years of experience, he has been directly involved with marketing, leasing, sales, construction, and management of commercial properties in Southern California. Kenneth is President of Dubs and Company, Inc. a California Corporation. 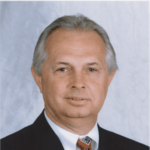 Ken Dubs Sr., CCIM Chairman , Dubs and Company, Inc.
Ken has 45 years of full time experience in all aspects of real estate specializing in industrial and investment properties. Ken’s expertise also includes land, retail, office, development, design, construction, and property management.